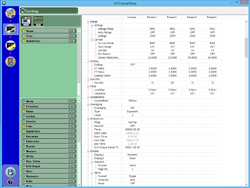 Retrieve, display, and save data that the WT series has measured and set up measurement parameters. Remote control of a WT series. * Firmware Ver. 2.31 or later is required for WT1800. * Firmware Ver. 1.21 or later is required for WT500. * Firmware Ver. 6.11 or later is required for WT3000. And it requires to dedicated advance mode setting. You can use this software to control a single PC-connected WT series. As well as using the WT series front panel to set up the power analyzer, users can apply the software to quickly set up desired settings. It also shows all the settings and the status at a glance. 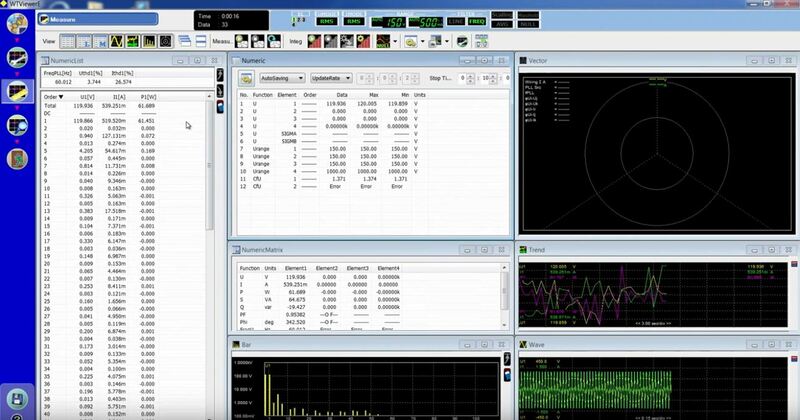 The software can display items that cannot be shown on a screen of the WT series, such as multiple numeric measurement parameters, harmonics data of each other, bar graphs, trend graphs, vector, and voltage & current waveforms together. Connection: Used to configure the communication between the WT series and PC. Setting: Used to set WT series measurement conditions. Measure: Used to display measured results in bar graphs, trend graphs, etc. 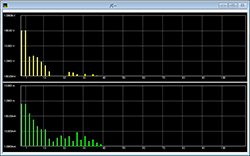 File: Used to save and load setup parameters. Exit: Used to close the software. 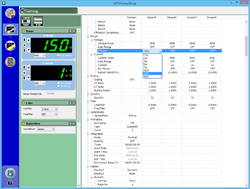 Displays WT series measurement data numerically. For models with the Harmonic measurement option (/G5, /G6) or the Advanced Calculation option (/G6), harmonic measurement data is also displayed. 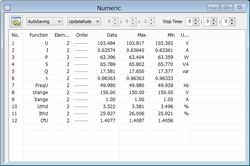 Lists harmonic measurement data for each harmonic order. Numeric lists can be displayed when the WT series is equipped with the Harmonic measurement option (/G5, /G6) or the Advanced Calculation option (/G6). 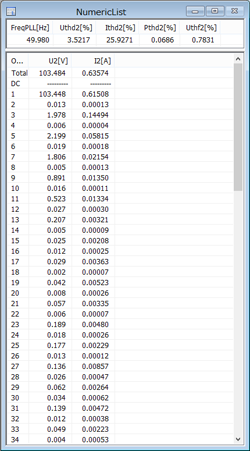 Displays WT series measurement data for each element. 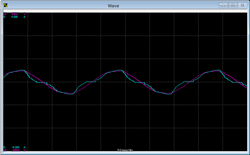 Displays waveform display data that has been collected from the WT series. Displays measured harmonic components for each harmonic order. Bar graphs can be displayed when the WT series is equipped with the Harmonic measurement option (/G5, /G6) or the Advanced Calculation option (/G6). 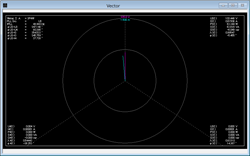 Display harmonic measurement parameters (fundamental components) as a vector plot. Vector plots can be displayed when the WT series includes the Harmonic measurement option (/G5, /G6) or the Advanced Calculation option (/G6) and more than 2 sets of the same input elements. * The Harmonic measurement option is required. Data Acquisition Interval 50 ms at maximum speed. - The data storage period can be any custom setting (more than 20 seconds) and the data update rate of the product. - Depends on your PC's performance. * When the WT series data update interval is shorter than the time it takes for the software to collect one set of measured data, there will be pieces of data that the software will not collect. 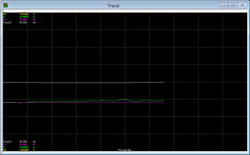 Data Acquisition Interval 50 ms at max. speed. You can use this software to control a single PC-connected WT series. To control multiple PC-connected power analyzers from a single PC, please use the WTViewerE software application. On Windows Vista, Windows 7: Use driver NI-488.2 Ver.2.7.2 or later. On Windows 8 or Windows 8.1: Use driver NI-488.2 Ver.3.1.0 or later. On Windows Vista, Windows 7: Use driver NI-488.2 Ver. 2.8.1 or later. Use driver NI-488.2 Ver.14.0 or later.